The growth in shyness may be partly due to increased reliance on technology as a means of communicating, leaving people less adept at face to face interaction. As children are increasingly forced off the streets and families become smaller so there are fewer opportunities for unstructured, unsupervised interaction. Finally, automation is replacing human contact in many areas of life from ATMs to the notorious telephone answering services. Too much of the science and not enough to help someone overcome shyness. I appreciate the knowledge behind why I am shy -- but does not help me here and now. The audio quality was very poor. What could Ruth Searle have done to make this a more enjoyable book for you? The content was like a history lesson rather than a helpful guide. An American "English" reader would have been better. None, that I could find! What would have made Overcoming Shyness and Social Anxiety better? It needs to be re-recorded. I couldn't listen to more than 5 minutes of it. Did they copy this off an old 8-track they had lying around? No idea. never got past minute 5. If you would like to know how humans evolved and the role of anxiety this is the book for you. However, if you are looking for specific help in overcoming shyness and social anxiety, then this is not. The author is a scientist and the book reflects that. There is much scientific information and it is obviously well researched. It is strong on cold hard facts but short on empathy and actual treatment of the disorders. It is certainly not what I expected. Would you be willing to try another one of Bob Sinfield’s performances? For fiction maybe, for self-help - not a chance. I was angered by the condescending tone of the narrator and prose. Perhaps if there was a different narrator I wouldn't have found this audiobook so downright offensive. A lot of thorough research has gone into this book, the author needs to reconsider the tone she writes in. A smorgasbord of info that's not in a easy to follow. Only really good if you're writing a research paper. Not good if you want simple easy to follow steps that gradually help you become a more social person. This is a good book. I bought many books on this subject and they all seem to be repetitive. This book; especially the second half of it; deals with it in a different way. It teaches HOW to accept your self. Its well written and well narrated. I found the audio/quality somewhat difficult to listen to whilst listening on my car stero. I listened to maybe a chapter then gave up on it. This is the best book I have ever bought. I have got masters in Psychology and can recognize a good book with valuable facts. Shooting voice of the narrator, great lenght , very useful tips, weblinks. This book is encouraging, hope giving, providing a new perspestive and view. The work is up to you tough. Go out there, practice everyday. Your critical voice has been growing and eating you up for years, it will take years to learn a new way, but it's possible. I have listen to the book twice and will again. 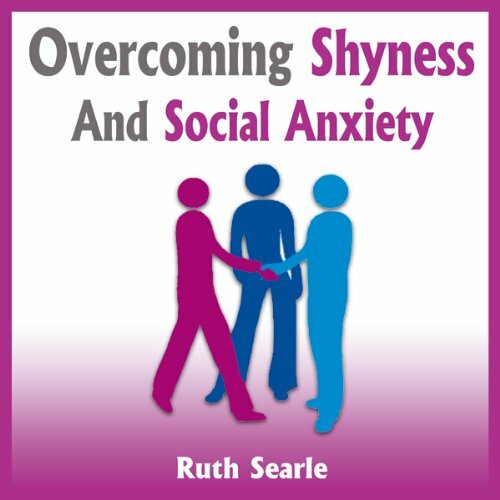 Plenty of good information and helpful ideas on many topics surrounding shyness. Fantastic narration by Bob Sinfield he is very clear and upbeat in tone which makes it a very easy listen. I would recommend this book. As someone who suffers from social anxiety due to a horrid spate of bullying at school, I was looking for a way of addressing these issues via an audio book. The information is horribly dry and just filled with statistics which ultimately do nothing apart from letting you know that your condition is quite common and is filled with terribly patronising by telling me that introverted people are more empathic..I dont care! The advice in this book is filled with painful advice suggesting small talk introductions and getting people to talk about themselves as people like talking about themselves. Its like a mix between a PHD and a well meaning mother offering impractical advice which doesnt address and solve the underlying problems. A very poor and impractical audio book which does not tell you how to overcome shyness and social anxiety, but rather how to develop behaviour to blend in, to accept that this is your genetic lot in life via scientific data, to learn conversation techniques and that an introverted person is perfectly normal, so chin up and stop criticising yourself. This book is written by someone who has not suffered from social anxiety and shyness, or has done and manages her condition by clinging onto scientific norms and "so tell me about yourself" types of conversation. Do not bother, it is an awful book. I was disappointed with this book. The content ranges from irrelevant technical stuff to painfully obvious (really does not need to be stated) material. The sing song style of the narrator is very patronising and irritating. A rather simplistic portrayal of what it means to be shy. This book has no pretensions to being an academic work, in terms of content, style and structure. At times, it almost feels like the author is some sort of guru trying to instill in his ignorant followers a sense of self-worth. It's most certainly destined for the uninitiated "general public", and there are some interesting insights for someone, namely myself, who has not explored the question in other books/articles. Without wishing to give away the end, the suggested remedy seems to be that a) shy people have more worth than others, and b) just get out there and believe in yourself! The music to announce each end of chapter is terrible. The narrator is good. Being rewritten by someone who has the vaguest understanding about shyness or social anxiety and the related disorders. Would you ever listen to anything by Ruth Searle again? Awful. I took a chance on this and i really regret doing so. Devoid of any real value or good advice. This book is so much better than the gung-ho nonsense that is so often peddled under the auspices of 'self help' or 'self confidence'. It deals with the causes and the symptoms in a practical and empathetic manner. The simple reason for the book's success is that it is written by an experienced nurse. She knows what she's talking about and has a practical bedside manner. She talks at one stage of Shyness being a gift. At first I thought 'hand on a minute!' But she does make some valid points and, cynic though I am, I did finish listening to that section feeling more confident about the way my mind works and who I am. What was REALLY nice about the book was that I was not compelled to change and be something I'm not. It is OK to be a bit shy - that's part of me. And that, again, made me feel more confident! I bought this book for my teenage son. He's always been fairly shy around new people and finds it hard to make new friends as a result. I know this can be hard for many people but for my son it was near to impossible. Although this book didnt instantly change his life around, it has definitely had an impact. He is still shy but seems more confident and unashamed of being that way. He wasnt too eager to listen to this audio book at first (classic teenage 'I dont need that kind of stuff' response to it!) but I think even he would now admit that this book has really helped him. I cant praise this book enough for how it has helped my boy. Definitely worth a listen. Amazing book, went beyond my expectations. Great listen. I do recommend it. Good luck to anyone struggling with social anxiety. This book will definitely improve your approach to dealing with it. i have made quite a collection. I love this book. I am a shy introvert and the description of one in this book embodies me. I have always wanted to maximize my potential and this book helps me in so many ways. I listen to it when I am about to sleep. It keeps me all revved up when I wake up in the morning. The way it is read also helps, the voice and intonation of the reader contribute to its being an excellent listening experience. Highly recommended!